i am sorry if my question is stupid but i am not able to see the translation. 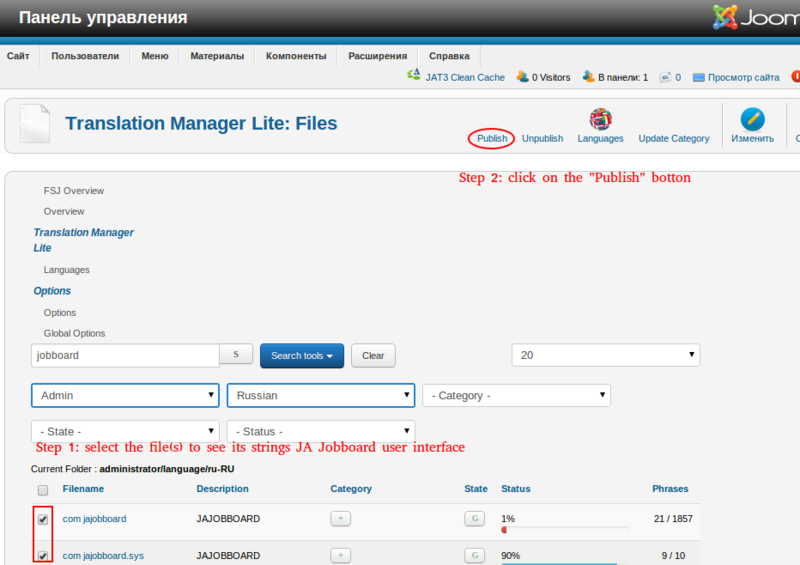 I have in the back end try to modify my file in the language customization in ja bord component : without effect on the admin. Ihave alos tried to modify th previous files in fr-FR in the admi/language/fr-FR folder without effect. Ok but it is a commerciale extension. Why am i not able to use the fr-FR.com_jaboad.ini as i use for the module? It seems JaJob boad doesn’t care of anything. Thanks seems working like a charm. I don’t know this component. What happen in the next JaJob board update? Will i lose all my translation? 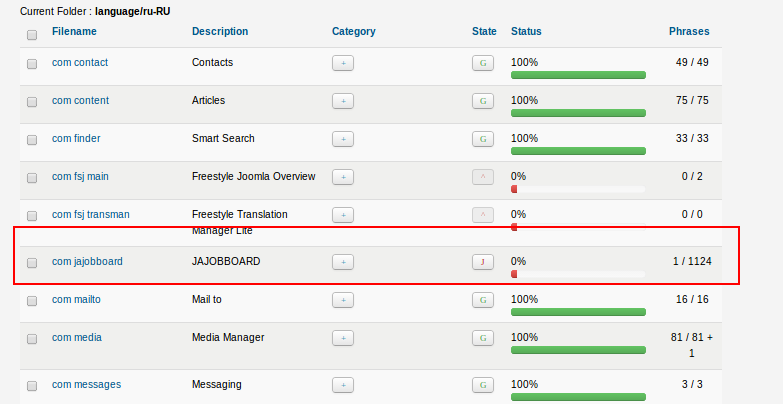 Glad to see your are getting on nicely with your JA Jobboard French translation. To your question. Our JA Jobboard installation pack contains only English language folders and files. So, updating JA Jobboard to the next version should not override your French language folders and files but to be on the safe side, please do backup your translation the first thing after you created it. maybe i have missed something. I don’t anderstand why some sentenses are translated and someone no. 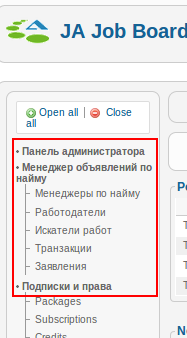 The sentense Admin Dashboard on the top left of the admin stay in english . I change it in the french AND english files no change, why. And it is like that for several words. Another thing, for the form field i can change the Field label, the Field label for the english language and the Field label for the french language. Fine but it dont care of my french translation only The first field is important it seems. 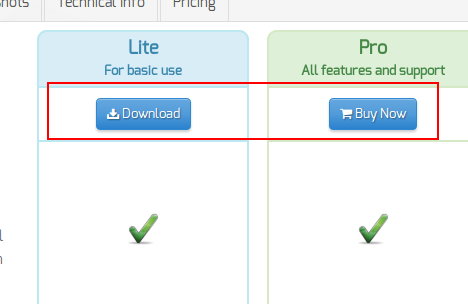 The same for the tooltip. Hope this helps and have a nice weekend. This topic contains 8 replies, has 2 voices, and was last updated by alexsmirnov 4 years, 10 months ago.